Container gardening is a great way to have more control over your growing herbs. You can easily move the containers towards a warmer area if needed and back into the shade if the season gets too hot. 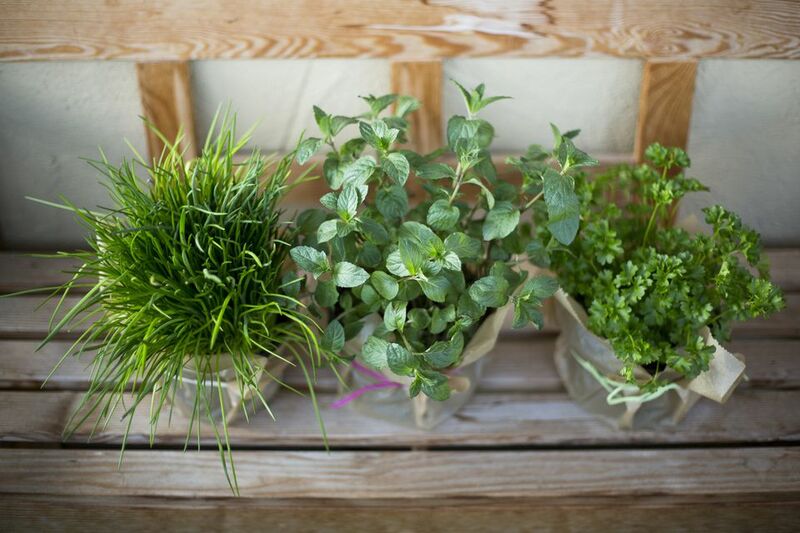 Container herbs are more readily available for use when they are grouped together. You will be more apt to use them when they are right outside your kitchen door. Here are our 5 choices for a cook's theme container garden. Mint is notorious for getting away from the gardener. You plant one and soon twenty will follow. If you are trying to keep your varieties pure, cross-pollination is easy to do if the strains are too close together. 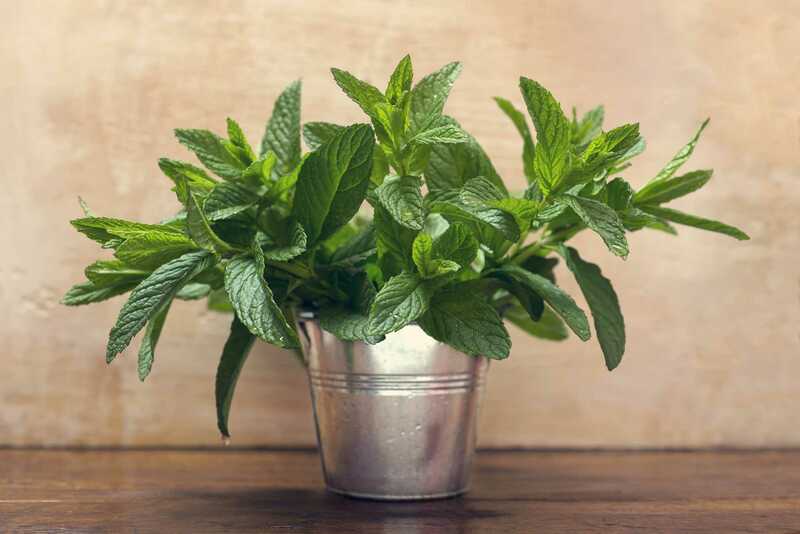 Containers can be placed far enough away from one another to keep your pineapple mint from suddenly tasting like catnip pineapple mint. Planting a bottomless pot into your garden is one way of controlling mint, but keeping it out of the garden completely, by using a separate container is a better idea. Mint is also tasty, it can be used more often if it is handy. Keeping it pinched is how you keep it from going to flower and pollinating other mints. Mint is our first choice for container gardens. Sage is another plant that just does well if properly cared for. It requires a lot of pinching and cutting to keep it from becoming woody too soon. As a rule, sage will need to be replanted after about 3 years since it will become woody stems with little leaves no matter what, so keeping it in a pot makes this change that much easier. Sage dries very well and if you pinch the leaves throughout the growing season, put a rubber band on them and keep them safe after drying, by the end of the season, you will have enough bundles to make an herb wreath! This makes a lovely gift with very little effort. Rosemary is a favorite of many. It dries perfectly, holds its strong taste all winter, comes indoors and keeps growing in a sunny window and is rarely bothered by insects. You can use rosemary for many herb standards or topiaries. The woody stem is perfect for crafting. The stem also seconds as skewers so each harvest yields two separate things: leaves and stems. You can keep the stems in a freezer bag in the freezer and use them for grilling skewers. Since rosemary doesn't like to sit in water but likes to dry out between waterings being in its own container makes the herb grow that much hardier since it can receive special care. Basil is one of the most rewarding herbs to grow in a container. It really lends itself well to the other popular container plant: the tomato. Basil likes to have plenty of water to keep its fleshy stems and tender leaves plump but is susceptible to mildew. In a container, you can be sure the plant gets plenty of air-flow. Thyme is an often undervalued herb. Many times it gets planted and never used. Thyme deserves a higher standing on our list of culinary herbs! It will thrive in a container environment, needing only minimal watering. Some varieties grow into small shrub-like plants that enhance an entrance, and its tiny purple flowers are lovely. Being such a low maintenance herb, you can see how well thyme will fit in your container arrangement. No matter what variety of thyme you do buy, remember that it tends to become woody after a few years. Keeping it in a container also makes it easier to replace when needed. Should You Grow a Container Herb Garden? Herbs can be grown in container gardens so they are easily at your fingertips for cooking. Try different themes and plant a tea, cooking, healing container of herbs by the back door. You will be amazed at how much more you rely on them.